I love a good poke bowl but even more when I get to build my own! 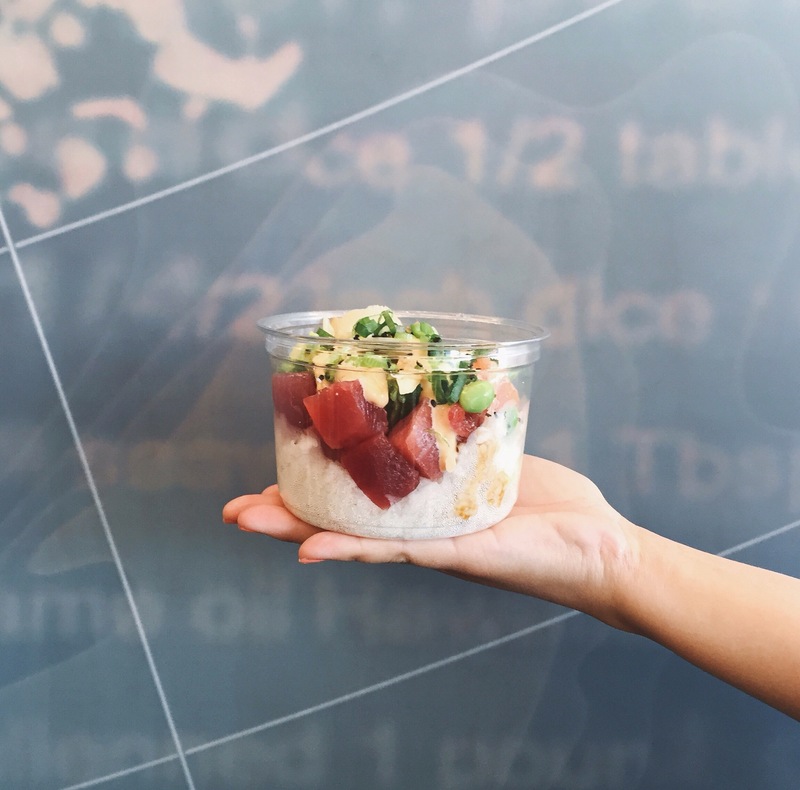 Mainland Poke is a new spot in town and has quickly become one of my favorite spots. You start by picking your base, then decide on what fish, add sauces and finish off with toppings. My go-to choices are white rice (they have kale/baby greens for the healthier people out there), tuna and salmon, sriracha aioli for my sauce, avocado, seaweed, onions, Hawaiian salt as my toppings. IT IS SO GOOD! What I like best about this place is that their fish is cut into big chunks where other places chop up the fish into small pieces and it gets mushy. Next Postready for a dinner party!